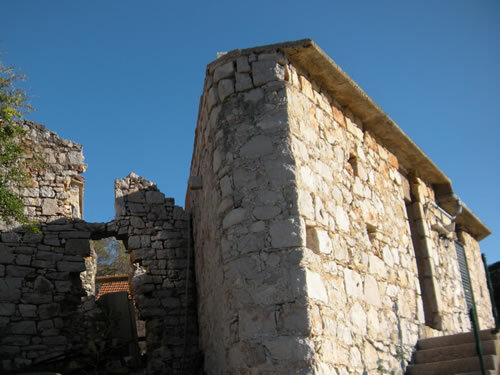 When we first started looking at properties on Hvar, one of the houses that really caught my imagination was in Prapatna. It was a gorgeous stone house with walled garden, right on the seafront. Sure, it needed a bit of work, but boy, what a stunning location! In the end, because the practicalities of life still have to be considered (sigh), we didn’t go for this place, but I still enjoy the beauty of it on a summer afternoon. 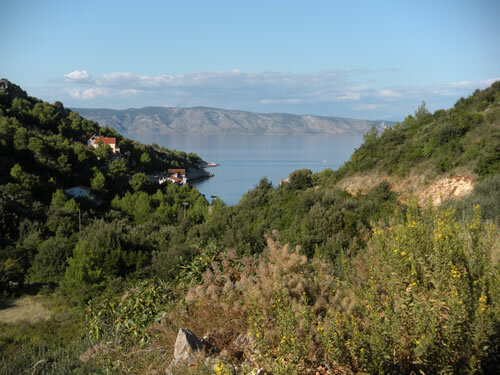 Prapatna is a tiny community in a peaceful cove, somewhat to the east of Jelsa. The road in looks quite steep as it branches off the main Jelsa-Sucuraj road, but is actually not bad. Four-wheel drive in winter might be a bit of an advantage, though! 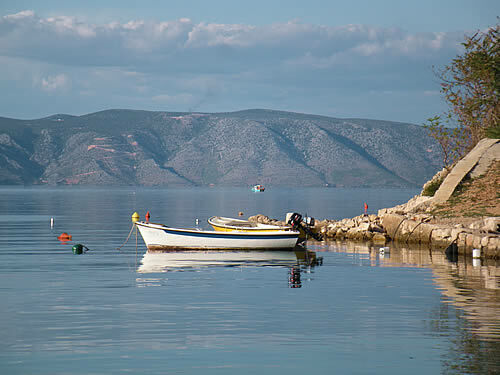 The bay faces north, so you have a view over to the neighbouring island of Brač. 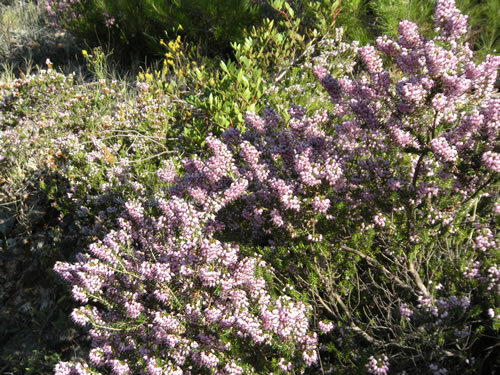 The road is a rocky track through pine trees, and in September, when we visited, there was purple heather by the roadside – a nice touch! 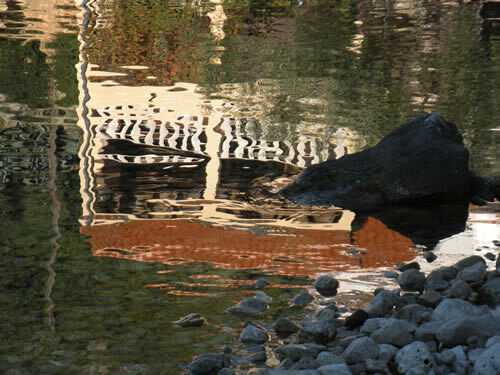 On the day we were there, the water was so calm, and the reflections quite perfect. It seems that at least some of the old stone houses are being renovated, which is good to see. I do hope someone bought that house, and is now enjoying it! We walked along the shore, and wandered around the buildings and up the steps. It’s a bit of a stretch to call it a street, as it really is only a path leading up from the shore to the houses. Prapatna is an idyllic place in summer, with a quiet beach and jetty. There are a few more modern houses here too, and I assume this is somewhere you can rent an apartment and have a wonderful relaxing holiday right on on the waterfront. No bakeries to get your morning pastry, though – you’d have to think ahead! 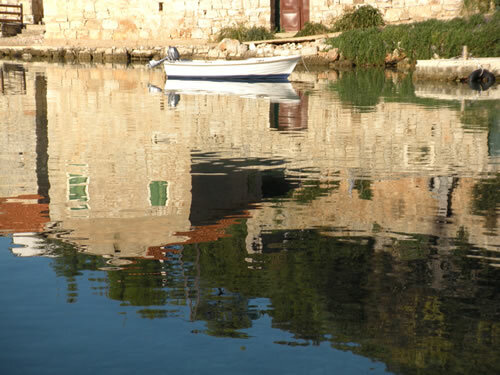 Or maybe you could take the boat round to Jelsa for your shopping? That would be really cool! 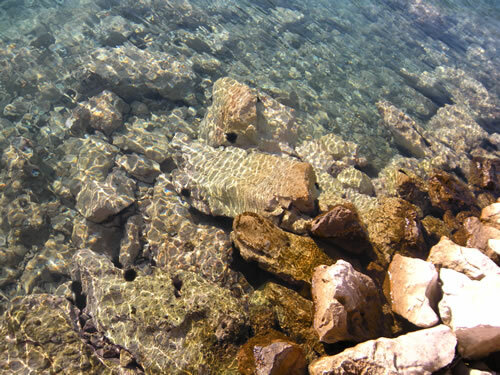 The water is beautifully clear, very inviting. As usual here, there’s no sand, just rocks and pebbles. If you want to go paddling it’s best to buy a pair of the water shoes at one of the street markets in town. They also protect you from the sea urchins! This would be a wonderful place for snorkelling, but right now I’m missing my sketchbook. I’d like to come and spend time painting here one day – it’s so tranquil and lovely. On the whole, though I love the quiet feeling of being away from it all, I really like to live somewhere I can walk to shops and restaurants. Prapatna is lovely, but it’s not for us. It makes even Vrboska feel like a bustling metropolis!